On December 22, 1979, the BBC broadcast the Christmas Snowtime Special, which was probably a compilation (for export) of four TV specials made earlier in the year, including the Abba Easter Special and a programme called Disco in the Snow, featuring Boney M and guests. 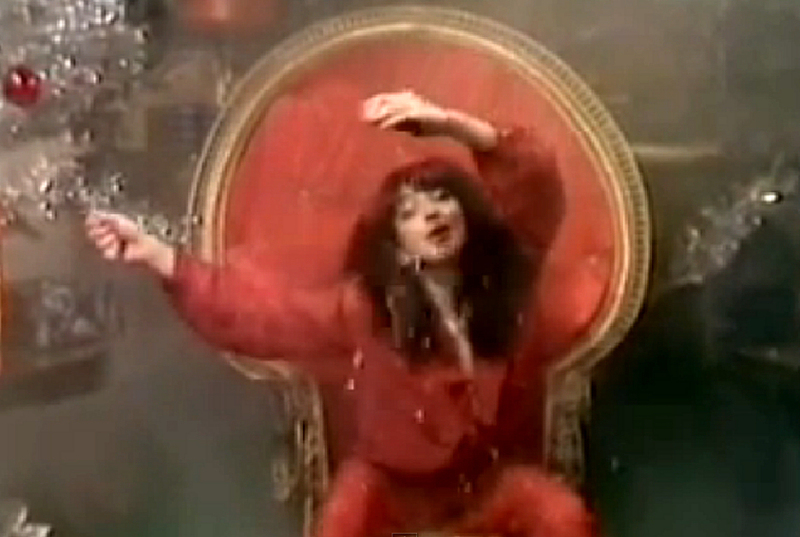 Kate Bush appeared in this special with a hastily recorded version of December Will Be Magic Again, in a version that has become known as the 'Bongo Version'. Originally she had filmed a version of Wuthering Heights standing barefoot in the snow on the Swiss Alps, but this footage was never used.